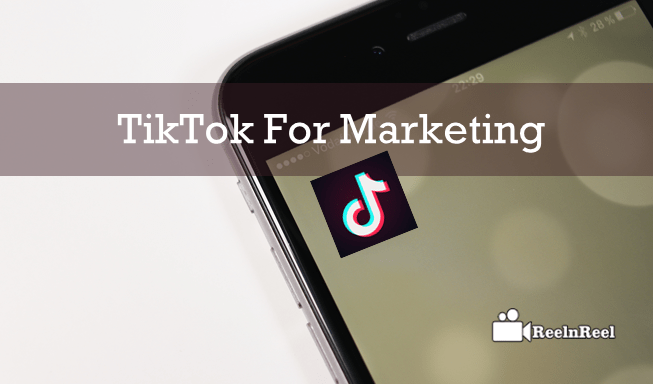 Home » Video Marketing » How Brands Use TikTok To Do Marketing? The present marketing world completely hinge-on Generation Z. They are creators, tech savvies and activists that comes from the self-projection on social media. The current marketing companies are treating Generation Z as the sculpturists to shape their business sales.They are the primary consumers to adopt new trends, especially on social media. The blockbuster of social media apps will be in the hands of Generation Z. The most influential influencers are filtered through the trending social media platforms where they can find the potential leads and customers through their provision of influencing the audience. Now TikTok has become one of the top social media apps. TikTok is the social media mobile app which feeds the users with short music videos to share or watch. Millions of users love this as it became the entertaining hub currently. 100+ million users download TikTok, especially on Android. If we consider both the Android and iOS users it is the hulk that being on the stack of on trending social media video platforms like YouTube and Facebook. All the users are much excited to use the TikTok as it becomes the source to present one’s creativity in delivering excellent music videos at the millions of users. The users can upload the short videos of lip-synching, adding filters and dancing, etc. 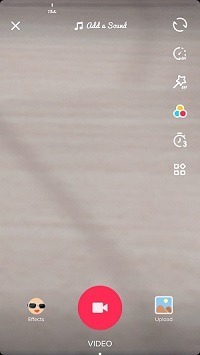 into TikTok. Simply TikTok is a trendsetter which is much familiar in a short period that no other apps have. One can create their brand awareness campaigns and also promote record labels, albums, and artists, etc. Some brands are in the use of TikTok to run the influencer marketing campaigns. There might be difficult for the users to adopt the new content and hence, video advertising brands are approaching the TikTok influencers to promote their brands. In the coming days, the TikTok influencers are the most seeking brand ambassadors for the advertising brands. With the involvement of TikTok Influencers, the brands can cater the goods, products, experiences, and services to the audience. Furthermore, the influencers are the eye-catching celebrities for the audience and whatever they deliver at the audience can have the probability to get quick identification. The brands should consider which type of content can effectively reach the audience and they should pick the relevant influencers. These are the cases where the business brands are failing. TikTok always defines the challenges like #pandacrunch, #InMyfeelings, etc. where the users assigned with a fun task of editing and filming the creative activities related to challenge in that platform. Such type of tasks won’t let the users feel bored. Try to roll trending campaigns that catch the audience attention, mostly GenZ. The products that you promote should provide visual experience while promoting. That the content itself briefly explain everything about the product. Such cleverly content should be composed while launching the campaign in the TikTok. When dealing with influencers, they should disclose the products conveying a message along with the creative and entertaining content that too in 15 seconds to launch the most effective campaign on TikTok. The unique and innovative content that frames the utmost entertainment have the chances to establish the interactions from the viewers. Not to forget thing for the advertising brands is that content should not be composed by defining only the product itself. Additionally, the customer testimonials and reviews will not work on TikTok. Before stepping ahead, the companies should hire the most talented content creators to engage the TikTok, and it is most significant KPIs. All users especially Generation Z are more likely to respond quickly through comments. At that time the influencers should interact quickly, and such type of activity will gain new users as well. To do all these the impressive content creators are mandatory. TikTok intends to serve the audience with fresh content mainly focusing on the creative users that lead to forming the new global community. Short form mobile video content is most engaging on TikTok that helps to bring out the creativity of users. The demand to provide the multi-platform content is increasing. The simultaneous use of mobile and internet directs to entertain the audience with extraordinary user-generated video content. This helps to build the bridge between the innovative creators and the users. Mostly hidden talent from the normal users of TikTok has shown to the millions and made them be on the influencer marketing platform. The influencers are being as the marketing media to the companies. The TikTok is the sound of ticking clock where it means that each moment of life is precious to preserve. That turns the slogan that each second is countable. What TikTok offer for users? TikTok has features like video recognition, image recognition, different filters, tools of video shooting and editing, 3D stickers, etc. In minutes, the TikTok creators can launch the 15-second videos with the help of all these features. How does TikTok see Social Media? Social media is playing a vital role in the lives of the public to make inventions or terminate their life. Moreover, the sharing of daily activities on social media will establish strong public communication. TikTok has become the viral platform to push the short video content to the users that provides a lot of opportunities for the users. That means if you take influencers on TikTok. TikTok counts each moment as it is doing presently and it let the users find the vibrant outlet to build their career by sharing the each of moment of their life. They focus on feeding the TikTok users with fresh and unique video content that gives the ultimate user experience. They are finding the opportunities and models to generate value for the creators and business partners of TikTok. As the competition to produce the online content is expanding, they consider the advertising as the content. That should meet the requirements like user enjoyable and high quality. They are improving and developing the innovative advertising products as the advertising is the only source to monetization. Also, it benefits for both the users and brands. The brands can explore their business by collaborating with TikTok and can also use TikTok influencers. For example, if we take the Guess fashion brand. 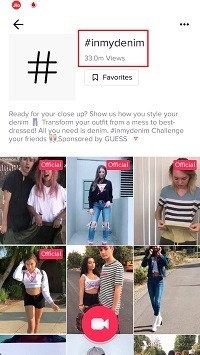 It collaborated with TikTok and launched the campaign named “#InMyDenim” which has gone viral on TikTok. 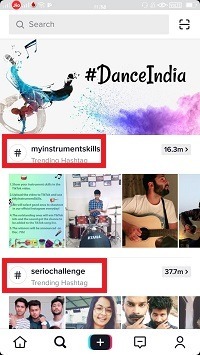 When the users open the app, they are directed hashtag challenge where they need to post videos along with the hashtag. This hashtag challenge gave a tremendous enjoyment to the users and let them post their fashion images. TikTok has launched in-feed native video and brand takeover that improves the ad reachability by fulfilling the requirements of the advertisers. 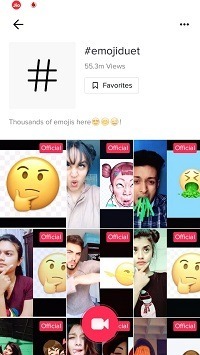 The theme “Hashtag challenge” triggering the TikTok users at a glance with the dispersion of high-quality content to the TikTok community. Advertising brands are finding this Hashtag Challenge as the effective source to reach the millions of consumers. TikTok is planning to adopt the most advanced features to attract the global audience and brands as well. It is the best option for the brands to launch the ad campaigns at an affordable price.